The March tasting is all booked and ready to go. 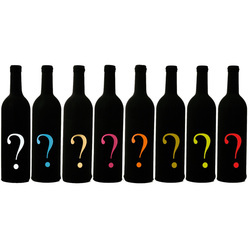 The line up will remain a mystery (for now) as it will be a blind tasting. 5 bottles, no brands, which is the one you lie best. This month we will tasting different Amercian Whiskies. In June we have 18 different whiskies to try. It was a loooong night. This month we will be trying some Non-age statement (NAS) whiskies. It is easy to get hung up over the age of a whisky. Once you take the number off the bottle does that mean you lose quality? 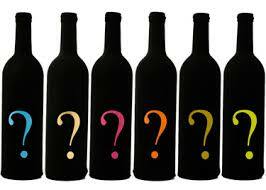 Of course not, we will be trying some easy to obtain bottles to see what we think of them. We also have a couple of special bottles which will be making an appearance. 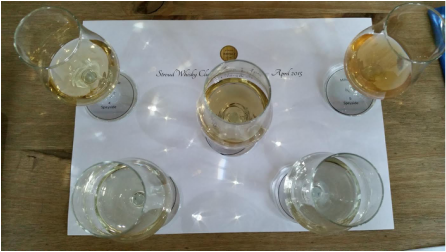 April '17 - The theme of the tasting was 'Cask Finishes'. A chance to try different whiskies that have all been matured in different casks. The line up included. Our next tasting night will be Tuesday 13th March 2018. The theme of the tasting is 'Sweet 16'. This is a chance to try different whiskies that have all been matured for 16 yrs. The tasting will be hosted by our very own Alan Kendall. We are closing off our 4th yr off with a bang as we are celebrate in style. We will be bringing along 15 bottles from our recent meetings. The planned itinerary is as follows. Attendees will be able to choose one bottle from each of the 5 rounds. All attendee's must be over 18 yrs of age. See our booking page to secure your tickets. Stroud Whisky Club are delighted to announce our special event for November with Kilchoman Distillery was a resounding success. Kilchoman displays all that is great about the grass-roots traditions of Scotch whisky distilling. As well as being one of only a handful of distilleries still practising floor malting, barley is also grown on the farm, making Kilchoman the only distillery to complete all parts of the whisky making process on site. Kilchoman truly is Islay’s farm distillery - from barley to bottling. We will be updating our blog with tasting notes shortly. Every July we look across the pond to see what the Americans have to offer. The bourbon night is always fun as it gives us a chance to sample the familiar yet new. The line included 5 bottles of good 'ol american bourbon. Following a hugely successful April meeting where we had the Independent bottling talent of "Boutiquey Whisky" in to take us through their wares, we were inspired. We decided to look at other independent bottlers for June's meeting to find more gems that are a bit less mainstream than the distillery standard bottlings. We were really lucky to be joined by That Boutique-y Whisky company (TBWC) in April. They are sent their big guns to Woodchester in their brand ambassador (Dave Worthington a.k.a @WhiskyDiscovery) along to join us for a unique whisky tasting. TBWC are an independent bottler who specialise in sourcing high quality single malt, single grain and blended whiskies. Dave brought 6 excellent bottles along as well as his years of experience and knowledge. Our ever popular blind tasting was held by Jo this time around. She put a lot of thought into the theme and gave a very in depth presentation. See the blog notes for details. We decided to go big and these are some cracking Whiskies. What a way to start the year. After another successful year we had a bit of fun to unwind for Christmas. 15 bottles, a few prizes, crackers, mince pies and you have a recipe for a fun night. An absolutely stellar line up arranged by Paul. A mixture of blend, grain and vatted malt. All were great bottles and choosing a winner was difficult. Adam scored the highest on the night so was declared the winner. 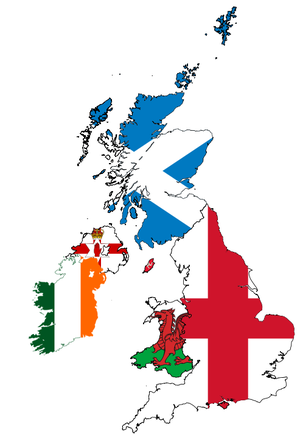 Our October meeting was a Battle ofBritain and Ireland. We tasted a bottle of whisky from each of England, Ireland, N. Ireland, Scotland and Wales. And the winner was... Benromach closely followed by Penderyn. Sept '16 - Great finishes! In recent years there has been an exponential increase in single malt whiskies being "finished" in a range of different casks. This has allowed the distilleries to experiment and produce a wide range of flavours with the same base spirit. After all, the maturation process is fundamental in shaping the whisky that ends up in your glass. With this in mind looked at single malt whiskies that have either been matured completely or finished in different casks. In July we tried a range of American whiskies of different styles. WE kicked off the evening with an amaerican classic..the "Old Fashioned" made with Johnny Drum 15yo. In June we revisitied a number of the popular bottles from previous events. There were be 15 bottles in attendance and everyone was able to taste at least 5 of these. The list below shows what was available. organised by Sean McCarrick the May meeting was a blind tasting. Sean cleverly arranged for 5 different whiskies from all over the world to bamboozle those doing the tasting. The Japanese Nikka Black was the most popular on the night followed by the highly rated Smooth Ambler Straight Bourbon. The blog will have details of the night soon. We hosted a highlands tasting in April. Wetasted 5 different bottles from the Highland region of Scotland. We will also sampled Deanston 17 yr old & Fettercairn Fior. World Whisky - Our February meeting saw us trying bottles from Iceland, Germany, Finland, India and the Netherlands. That's is FIVE different bottles from all over the world. Our blog will be updated shortly with details of the night. Lots of whisky, lots of fun, a little structure (slight hangover). We were lucky enough to have Glenfiddich to come to Woodchester in November. Mark Thompson, the UK brand ambassador for this iconic distillery, led the tasting in his own unique style. He took the lucky attendee's through the world famous Glenfiddich range. As the worlds most award winning single malt whisky it is fair to say he knows a thing or two. His charismatic and engaging presentation was absolutely mesmerising. Add this to his industry knowledge and personal anecdotes and you suddenly had a whisky experience to remember. This was a sold out event and one that will be long remembered. Everyone at Stroud Whisky Club would like to thank Chris and Mark from Glenfiddich for arranging this special night for us. Details of the bottles will be added to the blog once we have fully recovered from the event. October Meeting - Age before beauty? With soaring demand for whisky the distilleries have been finding stocks in short supply. They can't make enough to match demand. This is a problem because, as you would imagine, to have stocks to make a 12 year old single malt you need to plan ahead by at least 12 years. This has led to a surge of Non Age-Statement (NAS) expressions. We have seen The Glenlivet phase out the 12 yr old and introduce "Founder Reserve" in its place. Laphroaig have launched "Select" alongside the 10 year old to ease pressure on the 10 yr stocks. Is this a good thing or a bad thing? Well really its neither because if a whisky is good, its good. With this in mind we tasted a range of NAS whiskies from Scotland. See our blog for details. Want to attend a distillery hosted tasted. See below as we have lined up Glenfiddich to come to Stroud in November! September was an ever-popular blind tasting event. These have proved to be one of the most popular theme's over the past 2 years and is ideal for all levels of experience. Without knowing this they drams were drunk and then we voted on preference. The results were very interesting and details will be uploaded to the blog shortly. 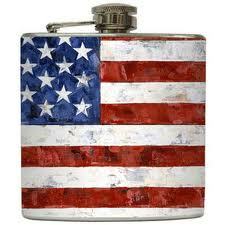 We celebrated July with Whiskey from America. This gave us a chance to look beyond single malt to see what other top drawer offerings are available from the other side of the pond. Everyone was greeted upon arrival with an 'Old Fashioned' cocktail before launching into the tasting evening. The June tasting evening was a chance to catch up with some of the bottles that we have tasted over past meetings. There were 20 bottles to choose from. The idea was to choose which one you want to taste from each of the 5 groups. 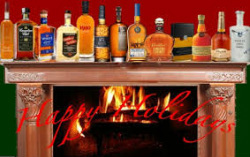 It is a great way to try new whiskies from distilleries (or even countries) you may not have experienced before. You may prefer to choose bottles you are familiar with. Either way, it is a fun way to try a range of exciting whiskies. Details of tasting notes are posted on the blog. April led us to look at young whiskies of 9 years and younger. It was a great opportunity to try a couple of lesser known distilleries. SWC were invited to tour the newest distillery on the block. Cotswold's Distillery opened last Autumn and is now in production. They are producing some fantastic spirit and this was a unique chance to tour the facilities, see the production process and ask questions. We also got to try their fantastic GIN, new make spirit, sherry cask aged spirit, espresso martini plus others. We will update the blog post shortly with details. If you haven't been yet we strongly recommend it. 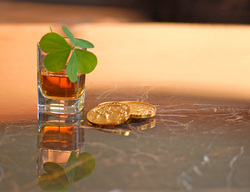 With St. Patrick's day falling in March what better way to celebrate than an Irish Whiskey night. We sampled the following bottles on the night. It was a lot of fun and showed that there are some quality Irish Whiskey bottle to choose from at very reasonable prices. At our January meeting we explored 4 bottles from the Scottish Highlands. Glendronach 15yr Revival - "TWE Whisky of the year 2014-15"
Our December was on Tuesday 9th December. It was a chance to revisit old friends and sample some of the Whiskies that we had tried throughout the course of the year. The bottles in attendance were as follows. It was a fun evening and we would like to thank the Ram Inn for their continued support. The venue is welcoming and friendly and the food is always excellent. The theme for the meeting was World Whisky. Following our distillery hosted tasting evening with Penderyn it seems fair to say that some of the best Whisky in the world comes from unexpected sources. Scotland are the best known producers of Single Malt whisky but there are many other countries who are producing high quality whisky too. For our October meeting we were joined by Laura Davies (Distiller) and Stephen Davies (Managing Director) both from Penderyn. They focused on the Penderyn range, discussing the distillation processes as well as giving us an inside view of the recent distillery expansion and future plans. This fascinating insight went hand in hand with an expert tutored tasting. As distribution partners for Kavalan they also brought along 2 cask strength offerings from the Taiwanese distillery. Soloist cask strength Sherry cask and Soloist cask strength Bourbon cask. See the blog for full details of the evening. By popular demand we held a Blind Tasting evening. Each Whisky was served from an unlabelled bottle with no visual means of identification. Using only your senses to identify the flavours and aromas and then make a guess to it's provenance, age and cost is not as easy as you might think. Our June meeting was arranged to go back over the bottles from meetings gone by and to meet old friends, try the ones you missed and to decide which you like the best. Here are the bottles that made an appearance on the night. ...and the winner is? See the blog for details. 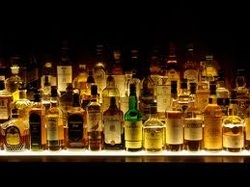 We had a classy range of bottles of Scotch Single malt ranging up to 18 years old all from independent bottlers. Awaken yourselves to great independently bottled Whisky. See blog for details. On Thursday 24th April 2014 Stroud Whisky Club hosted Glenfarclas at The Ram Inn. Glenfarclas are one of the most highly acclaimed distilleries in Scotland. We arranged for a special tasting session with a Glenfarclas ambassador who talked us through the production process, the brand, the history and the range of Whiskies. We tasted new make spirit straight from the still, 2 bottles you cannot buy from a shop and then the core range of single malts. See list below for details. The sold out event was a huge success and was a great insight into arguably the finest independently owned Scottish distillery. The theme our March meeting was a blind tasting. Each Whisky was served from an unlabelled bottle with no means of identification. The trick was to try it, see what flavours and aromas you could pick up and then try to make a guess to it's provenance, age and cost. Here are the bottles we tried on the night. The evening was a real success and we will be having another version of the Blind Tasting later in the year. Our February Meeting celebrated the diversity of these Isles of our by sampling one bottle from each of England, Ireland, Scotland, Northern Ireland and Wales. Whilst all were very popular, we had joint winners for the first time. Details to follow on our Blog. 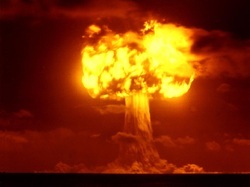 The first meeting of 2014 went with a BANG! We hosted a World Whisky tasting evening. We tried Single Malts from 4 different countries. December saw us wrap up our first year with a festive twist and to celebrate what a great year it had been. In 2013 we enjoyed a wide variety of Whiskies including having guest tasting sessions with Paul John Indian Single Malt and Buffalo Trace Bourbon. The list of bottles tasted is long and varied and to celebrate our first Christmas we will be revisiting some of them again. This gives members a chance to try old favourites and ones the might have missed. November Meeting - Bourbon Night. We were lucky enough to have a representative from Buffalo Trace come along to our November meeting to walk us through the production process and tasting of some of their finest Whiskies. For comparison we also had a couple from rival producers. A large proportion of Whisky available on the market involves blended whisky. Often overlooked as cheap or lower quality alternatives to single malt. They can be cheaper but this doesn't necessarily mean lower quality. There were several other bottles as well and covered a range of styles including vatted grain, vatted malt and blended whisky. Information on these will be posted on our blog. 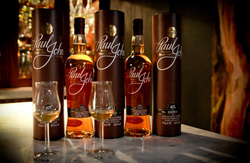 In September we were delighted to host a "Paul John Indian Single Malt" Masterclass. John Distilleries are the 7th largest global Whisky producer of award winning single malt and "Liquid Gold" cask strength Whiskies. Their highly rated 'Edited' and 'Brilliance' picked up Gold and Silver at the World Whiskies Masters 2013. We had a senior representative of the Distillery provide a detailed walk through of the unique production process including the challenges faced maturing high quality Whisky at temperatures up to 40'C. We tried their range of flagship and cask strength expressions. Both the peated and unpeated expressions exceeded expectations and have the unanimous seal of approval from our members. Read about it here. The theme for our August meeting was "Old and interesting". Our "old" Scottish Single malts had been aged for 18 yrs or more. 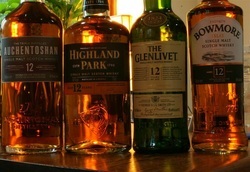 We tried 3 bottles which were Highland Park 18, Tomatin 18 and The Glenlivet 18. The "interesting" Whiskies were the award winning Irish Whiskey, Redbreast 12 yr Cask Strength and the Duty Free only Laphroaig QA Cask. Our July Meeting saw us try the following Whiskies from Islay. Lagavulin was a real "marmite malt". It split the group in to two camps. Love and hate it. This strong, smokey, salty, peaty monster is full of big flavour and is one of the 6 classic malts of Scotland. I for one love it and think it is a must try malt but beware... it has BIG flavours and an even BIGGER finish! This was our second meeting and it was a real success. Building on the previous meeting with an attendance of 2 this meeting we had 5 people. THe theme of this meeting was the same as our very first meeting which was 12 YO single malts. The HP12 was the most popluar malt on the night followed closely by the Auchentoshan. All great value bootles. Follow us on here, on Facebook or Twitter to get more details of the event as they are announced.